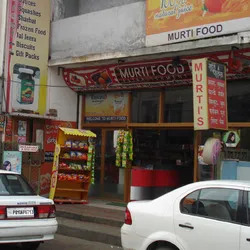 Murti Agro Foods represents some of the highest quality food processing companies in India. Established 35 years back, the company pioneers the distribution of a variety of Healthy Murabba, Healthy Pickles, Healthy Juices, Vegetable Pulp, Gift Packs, Fruit Pulps and many more. respectively, to wholesale as well as retail customers across Punjab and neighboring states. We pride ourselves on our quality products & world class service. Driven by customer satisfaction, we work in close-co-ordination with our customers to understand their specific needs and offer them their desired products. We deal in nearly every type of food with the origin from any fruit or vegetable. Our good services and unrelenting efforts have enabled us to carve a niche, and made us a name to reckon with. Our manufacturing units are endorsed with well-equipped machinery in cleaning, serving, dehydrating, cooking, frying, filling and blending. Our quality control department keeps a close check on all functional aspects of our production cycle. There is a regular watch on the quality control, and individual units are monitored consistently to ensure optimum usage. We lay special emphasis on the raw materials procured to ensure ingenuity of the products. Further we make sure that the processing is carried out without any glitch technically or otherwise. Packaging is accomplished through the use of an appropriate food grade material, it may be food grade pouch packing, tin packing or steel drum packing. We offer a range of products. Our products are safe, convenient and nutritious. We can also offer customized products. Great emphasis is laid in the manufacturing process and raw materials procured. Our products are hygienically prepared. Extra attention is paid on the packaging to ensure longer shelf life. We have a wide network of distributors to ensure delivery of products in time. If you wish to place an order or to avail more information about our products, you may write to us. We solicit queries from India and abroad. 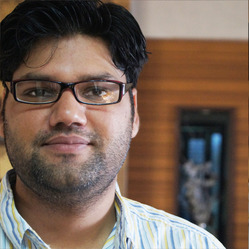 Salil Gupta, Our Director of the company is a graduate in computer sciences and advances in food technology.